The last time we had a Kingfisher IndiBlogger Meet was when Iron Maiden came down to Bangalore. The theme of course, was Heavy Metal and it was held at Stones Pub at Indira Nagar. We pretty much owned the place, with around 40 bloggers belting out Maiden numbers and downing the beers like there was no tomorrow. The response for this blogger meet has been one of the highest, all 100 seats were taken up the same day of the announcement. Thanks to our venue sponsor Kyra, we got more seats – looks like this is going to be the biggest & loudest IndiBlogger meet yet! 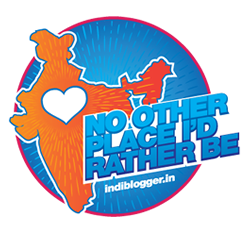 got to see ur blog when i was logged in to indiblogger….pleasent surprise to know that u r the one who started indiblogger and the fact that ur from the same city..my lovable chennai…congrats..keep going.. Thanks Renie for a job well done. Have a full day session more often. It was a great meet and an opportunity to meet fellow bloggers in blood. Just to keep the momentum, I have created a new Group on Linkedin – Indibloggers. I invite all of you to join this Group. In the long run, this will aid not only in personal development but also professional development. Renie, Mumbai meet rocked. How do you compare Mumbai with Blore? © Renie Ravin. | Theme: backphoto by Pupung Budi Purnama.